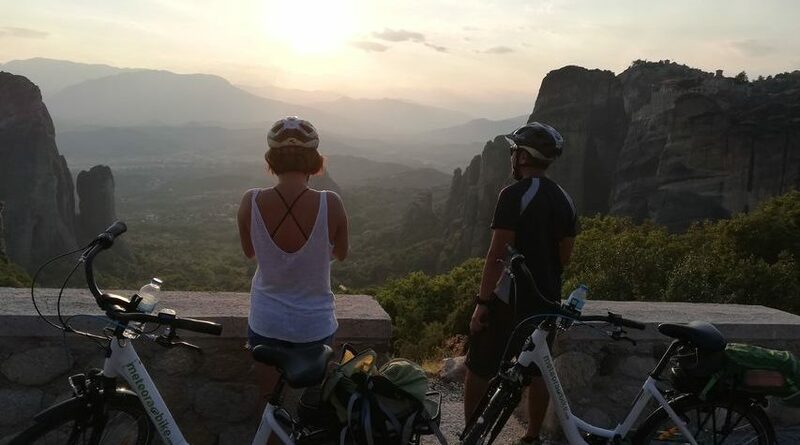 Pedal through breathtaking landscapes and watch the beautiful sunset over the cliffs of Meteora on this 3-hour guided e-bike tour. Take part in this wonderful e-bike tour through the rocks and monasteries of Meteora. The excursion starts from the centre of Kalambaka, just below the rocks of Meteora. Your group will then head toward this UNESCO protected area, where you will see and learn everything about this amazing location. Using electric bikes makes this ride easy and gives the rider the chance to explore without worrying about the slope of the route. There will also be a number of stops allowing you to take in the beauty of the surroundings. The tour leader will give you a comprehensive explanation of the area, geological phenomena, culture and religion. The tour covers six functional monasteries and many of the old monasteries' remains and hermit caves. Unfortunately, you will not be able to go inside of the monasteries, as they are closed during this tour. After an amazing ride, you'll go to one of the most beautiful spots of the area to enjoy the majestic sunset over the cliffs.